The International Baccalaureate Organization (IBO) is a nonprofit foundation that offers “a transdisciplinary program of international education designed to foster the development of the whole child.” The IBO offers four programs: the Career-related Program, the Diploma Program, the Middle Years Program, and the Primary Years Program. Seneca Academy is fully authorized to provide the Primary Years Program (PYP) (ages 3-12). 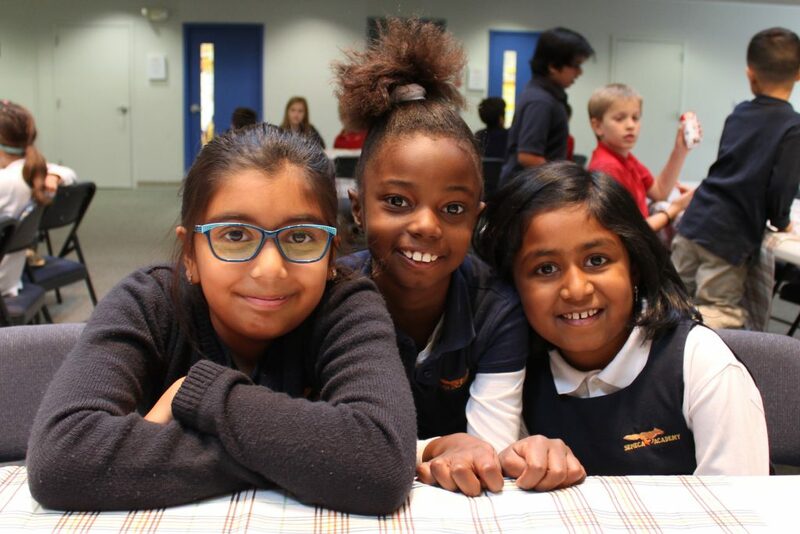 The PYP draws on research and best practice from a range of national systems to create relevant, engaging, challenging, and significant education for all children. What is “international education” and why is it important? International education, as identified by the IBO, is defined by several criteria. Some of those criteria include the following ideas. How does the IB PYP program differ from Montessori? Many people ask about the difference between Seneca Academy’s International Baccalaureate Primary Years Program and a Montessori program. There is an understanding that both programs are different than “traditional” classrooms, but they are unclear how they are distinct from one another. See a side-by-side comparison here. How is the IB PYP program implemented at Seneca Academy? Seneca Academy began the process of becoming an authorized IB PYP World School in the winter of 2009 because the philosophy and methods are consistent with our fundamental beliefs regarding children and education. Throughout the process of applying for authorization, having our entire teaching faculty participate in IB training, creating a transdisciplinary program of inquiry, integrating the program throughout our school, and finally hosting the IB visiting team in May of 2012 and receiving full authorization in September 2012, we have embraced the tenets and philosophies of the program. The IB PYP provides a framework for Seneca Academy teachers to deliver our engaging, relevant, challenging, and significant curriculum. We teach using the inquiry method, which allows students to engage in the learning process through hands-on and high-level thinking activities. Our Program of Inquiry outlines the six-week units of study that each class investigates throughout the year. Through these units, our students acquire the knowledge, concepts, skills, and attitudes that allow them to successfully move forward cognitively, socially, and emotionally. Complete information about the IB and its programs can be found on the IBO website. For more information about how the IB PYP program is being implemented at Seneca Academy, please call us at (301) 869-3728.